Experts at SMX West 2012 discussed about why differentiation is one of the most important tactics in today’s SEO landscape, and how you will “die” if you do not differentiate yourself from competitors. To illustrate the importance in differentiation, the presenter suggested that we look at the query “San Jose Plumber”. With a search query as simple as this one, we see over 2 million results in the SERP. 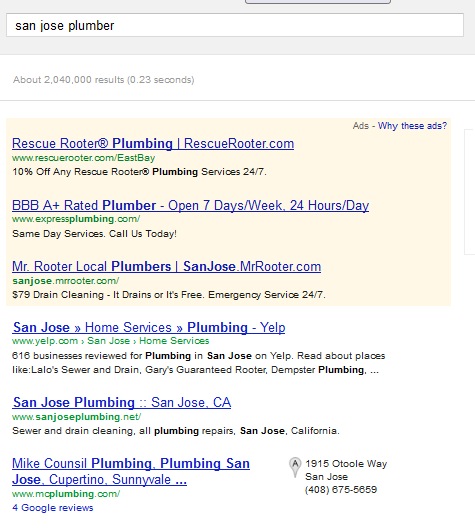 And out of those 2 million results for San Jose Plumbers, maybe a handful is actually useful to searchers. With that in mind, we have compiled a list of key takeaways from SMX experts on the topic of differentiation and translated into actionable items for the hoteliers. First, to look at Differentiation as an approach to solidify you as the correct result for the applicable query – This is a concept of focusing on differentiation that help you stand out from the rest of the crowd, so much, that if you don’t show up for the applicable query, then that SERP must be wrong. To put this in perspective of the hospitality industry, when we do a query for “San Jose Hotel” the SERP returned 114 million results. That is a lot of results! The approach is to focusing all your energies and efforts in niches that differentiate you from the rest of the crowd, and solidify yourself as the correct answer for queries in that niche. Because in order for Google to return the correct SERP for “San Jose Hotel”, that SERP must include the best answers from all the different niches. 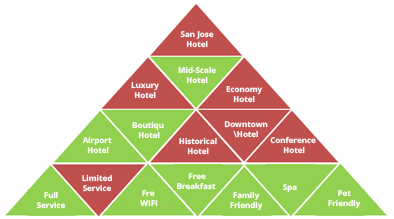 The idea is, if you become the best answer for all the differentiations related to “San Jose Hotel”, then you might be the best answer for “San Jose Hotel” as well. And to Differentiate by Social engagements – Sometimes it is not enough to differentiate yourself from the competitors just by the way you optimize your site, or the services and amenities you provide (unless it is something very, very unique). In that case, you might want to take the extra steps to further differentiate yourself with social engagements. These engagements should be unique to your hotel and is something more than regular blog posts or Facebook/Twitter updates. A couple cool ideas could be a viral video of your in-house chef making a grand dinner, having a dedicate concierge staff on Twitter tweeting replies at a lighting speed, or just anything that gets people talking about your hotel on the web. Finally, to look at Differentiation not only between yourself and competitors, but among competitors as well – Often times when we conduct competitive analysis, we tend to focus on competitors Vs. us, but looking more closely at competitor A Vs. competitor B and how they are trying to differentiate from each other will also give us very valuable insights. 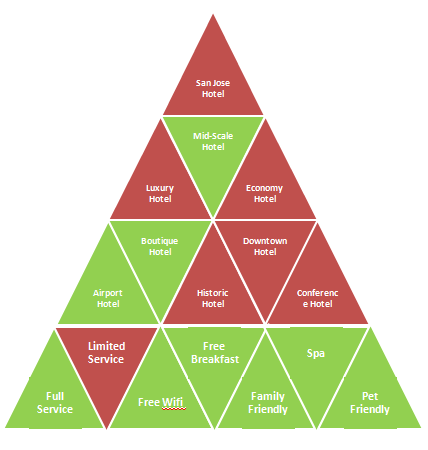 And to look for insights beyond the difference in services, amenities, or hotel niches. But instead, focus on looking at different innovations and marketing strategies adopted by your competitors. Is Competitor A fully integrating their Google+? Competitor B trying something new on Pinterest? Competitor C is doing series of Viral videos on Youtube? And etc. To sum it all up, Differentiation is a vital success factor in today’s online marketing strategies. For us hoteliers, we can differentiate by our hotel’s niche, by the way we handle reviews and social engagements, and by different marketing innovations and verticals.